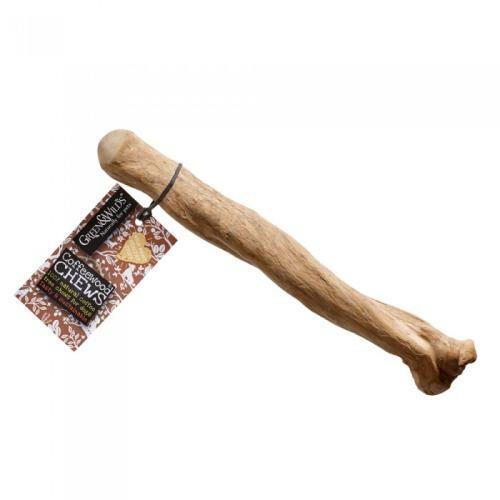 Green & Wilds Coffeewood Dog Chew Coffee wood is a healthy, safe and satisfying chew that any dog will love! Coffeewood chews are made from branches from the coffee bean plant. These are annually harvested from managed stock in coffee bean plantations and are 100% sustainable. Coffeewood is a very close grained wood that is harder than most native woods and does not splinter, making it a great choice for your dog.